Luca is still working on his Mixtape Player while abandoning Yalu1011 jailbreak altogether. For those who don’t know, Yalu jailbreak for iOS 10.1 and 10.1.1 was never fully completed. It is still stuck in beta stage. iPhone 7 and iPhone 7 plus users even need to start Substrate manually after each reboot. Enjoy your Stable Yalu1011 Jailbreak! We now have a quick fix for this problem thanks to Iranian developer Mahyar Rezghi. 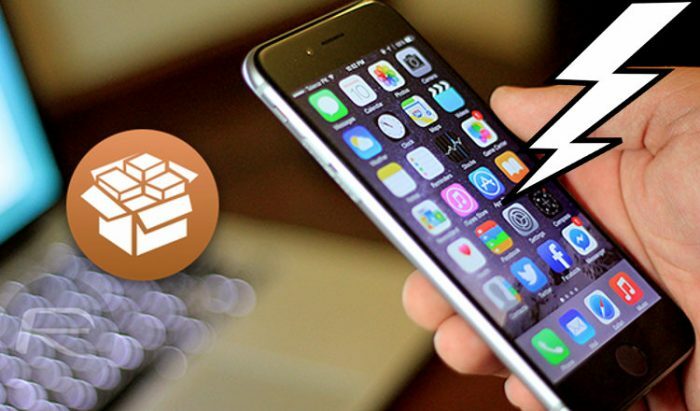 He has developed yet another “Substrate Fix” for iPhone 7 and iPhone 7 plus which is aptly named Yalu1011 Fix. 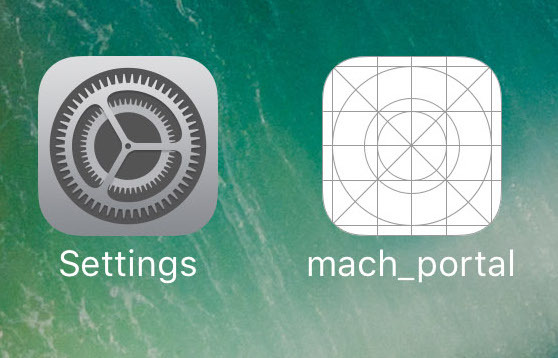 Automatically launches Substrate when running mach_portal. Enables LaunchDaemons such as RocketBootstrap. Keeps Dropbear SSH daemon running all the time. This makes life a hell of a lot easier for iPhone 7/7+ users. Yalu1011 Fix also fixes the problem of getting resprings and reboots out of the blue. Step 2 Go to Sources tab and add this repo – http://mahyarrezghi.ir/repo. Step 3 Go to the Search tab and search for Yalu1011 Fix. Step 4 Select Install and Confirm the installation. Remember, it is compatible only with iPhone 7 and iPhone 7 plus running iOS 10.1.1. It is not compatible with iOS 10.1 at the moment. Step 6 Run mach_portal to re-enable jailbreak. Make sure your device is in unjailbroken state before you run it. Step 7 Wait for 15 seconds after mach_portal exits to perfrom a Respring. 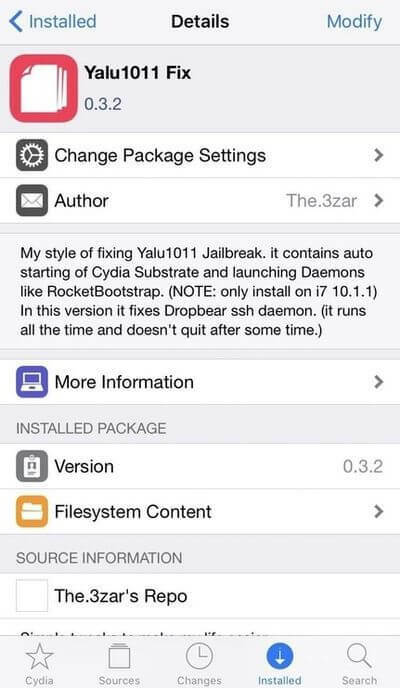 Step 8 Substrate and Dropbear daemon will be enabled automatically thanks to Yalu1011 Fix. This will happen without any intervention on your part. That’s all there’s to it! Your jailbreak will now run as smooth as butter. Now, you will no longer need to type in complicated commands in Terminal. It’s always good to have several tweaks that do the same thing. You can switch to another tweak because one of the tweaks doesn’t work on your device. How was you experience with Yalu1011 Fix? Let us know in the comments below. 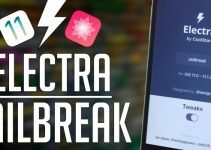 I uninstalled substrate fix that I have been using to restring anytime I install a Lydia tweak that requires a “restart springboard” because it always froze before. I installed Yalu1011 FIX and first tweak i install is Springtomize and the “restart springboard” popped up in Cydia, tapped it, and it Froze like it always did. What exactly was supposed to be fixed with this? I will be reinstalling Substrate Fix. Doesn’t seem any more stable to me. Just saying. This new fix was simply an alternative to Order 66. I would suggest you stick to Ben Weaver’s Substrate Fix. It’s relatively safer to use in my opinion. Order 65 working nice on iPhone 7plus 10.1.1 do i need it upgrade to this tweak..is it more stable any one tested pls comment? Hello, Muddavaram. If Order 65 is working fine, there’s no need to upgrade to this tweak.